Your slopeside condo comes with easy access to all the shopping, dining and excitement of the ski village. Feel free to linger over breakfast, getting to the slopes will be quick and easy. Margarita in one hand, magazine in the other - what more could you want? Roomy living areas are perfect for a game of Monopoly or family movie night. The resort is only steps from Elk Camp Gondola Lift, get ready to hit the slopes. You're only a 3 minute drive to downtown Snowmass Village. The resort offers onsite spa treatments. Relax with a facial or a massage. There are 3 outdoor hot tubs at the resort - try them all and pick your favorite. Grab your shoes & go, Highline Trail is just a 6 minute drive from the resort. Work on perfecting your swing at Snowmass Club, a 7 minute drive away. The Crestwood Condominiums is located in Snowmass Village with convenient access to The Village Express Lift and the Gondola. The onsite Incline Ski Shop includes a ski concierge who will be happy to assist with ski rentals. The resort is ski-in/ski-out which means it’ll be easy to stop back at your place for lunch (or if one of the kids forget something). If you have ski newbies in your group, or just need a refresher, head to Snowmass Ski and Snowboard School. It offers lessons for every age and experience level from beginner to advanced. There’s also a popular Women’s Edge program - four days of women-only clinics and a party at the end! When you arrive back from the slopes, take an afternoon time-out and brave the brisk temps on the way to the heated outdoor pool, or one of the three hot tubs. It’ll be worth it. Feel free to try them all – you’re on vacation. Exercise enthusiasts will appreciate the fitness center with a variety of cardio equipment. Unwind post-workout at the sauna or steam room. Treat yourself to one of the onsite spa services such as a facial, massage or manicure. Individually owned and decorated one- to three-bedroom condos are 672 to 1,300 square feet and sleep three to eight guests. Upgrade to a condo with a loft to give the kids their own space (perfect for blanket forts). All condos feature full kitchens with enough cabinets to store everyone’s favorites and hide snacks, so they don’t disappear the first day. Living rooms with enough space for the kids and all of their toys and blankets. Get everyone settled on the couch, pop some popcorn and play a game of Rock, Paper, Scissors to pick a movie. DVD rentals are available on site, or bring your favorites from home. Onsite laundry facilities mean more space in your suitcase for souvenirs. You’re off clean-up duty; the resort offers daily housekeeping. 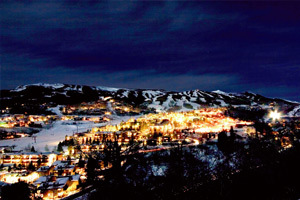 The Crestwood and Snowmass Village each offer convenient shuttle services. Gather the shopaholics in your crew and head to the Snowmass Village Mall, featuring excellent shopping and dining options. Need an afternoon pick-me-up? You’re in luck; there’s a Starbucks at Snowmass Village Mall. Surprise the kids with a stop at Rocky Mountain Chocolate Factory for fudge and a box of chocolates to bring home. In the summer months, play a round of golf at Snowmass Club Golf Course - it’s just a seven-minute drive from the resort. Up for a hike? Pack a picnic and hit the nearby Highline Trail and enjoy stunning views of the Rockies. Don’t forget water and sunscreen - Aspen’s elevation is almost 8,000 feet! - During winter months, the property's front desk is open 24 hours a day. During summer months, office hours are from 7:00 AM-11:00 PM daily. From mid-April to June and October to mid-November, office hours are 8:00 AM - 6:00 PM. Guests that are planning to arrive after hours can pick up keys from a lock box located outside the front desk. For more details please contact the property using the information on the reservation confirmation received after booking. - The property is closed between 18 October and 22 November.